One lucky Spin and Win Casino player who goes by initials L.K. became the recipient of nearly £5,000 from a gaming session where he played on 3 Wheel Roulette, Double Bonus Spin Roulette and Cleopatra II Slots. L.K. 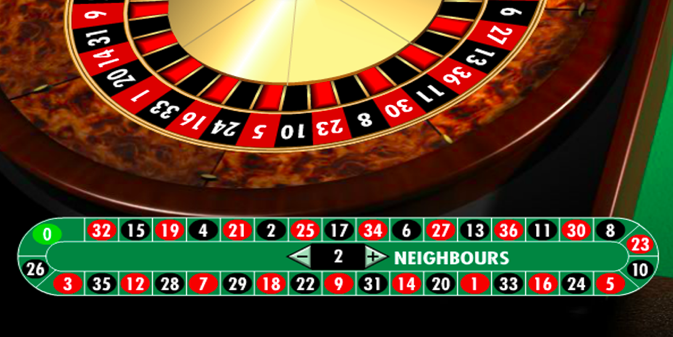 first decided to have a few roulette spins on 3 Wheel Roulette, an inventive game that was launched by provider IGT. 3 Wheel Roulette offers the advantage of having not one but three roulette wheels, offering players 3 different winning possibilities. In addition, 3 Wheel Roulette comes with a Colour Up bonus game that gives additional payouts when pairs or three-of-a-kind combinations come up on the wheels. L.K. bet on various numbers, including number 3, which came up on the first and third wheels, awarding a payout of £1,390.20 for the number but also for a pair of threes on the reels. He then switched to Double Bonus Spin Roulette, where he again bet on number 3 and lo and behold, number 3 came out again – and with it, a payout of £1,260. Double Bonus Spin Roulette is another IGT game, offering all the basics of a regular roulette game with a special Bonus well that awards extra wins to players when the ball lands in it. After scoring nicely on roulette, L.K. wasn’t done yet and moved on to slots, selecting Cleopatra II Slots to spin on. Cleopatra II Slots is also an IGT game and the sequel to the original Cleopatra Slots. The online slot machine offers a wealth of winning possibilities through its various game features, which include wilds, scatters, free games, multipliers, bonuses and more. Spinning away on Cleopatra II Slots, L.K. hit on a Free Games round and was awarded 10 free spins, at the end of which the payout came up to £2,174.10. All in all, not a bad way to spend an evening in!